Hip-Hop icon, producer and founder of the D.I.T.C. rap crew Lord Finesse is suing Mac Miller for $10 million for reportedly using the beat to his 1995 song “Hip 2 the Game,” which the producer claims essentially launched the 20-year old Pittsburgh native’s career. According to reports, the $10 million suit, which alleges “copyright infringement, unfair competition, unjust enrichment, interference, deceptive trade practices, and a number of related state law claims, was filed in a New York federal court on Monday (July 9) against Mac Miller, Rostrum Records, and Datpiff.com. The rapper has seen immense success since the release of his first mixtape, K.I.D.S., hit the internet in 2010. Finesses’ “Hip 2 the Game” was the same beat used on Mac’s “Kool Aid & Frozen Pizza” from K.I.D.S. which was the song that’s mostly credited as initially getting Mac attention as an artist when he first hit the scene. 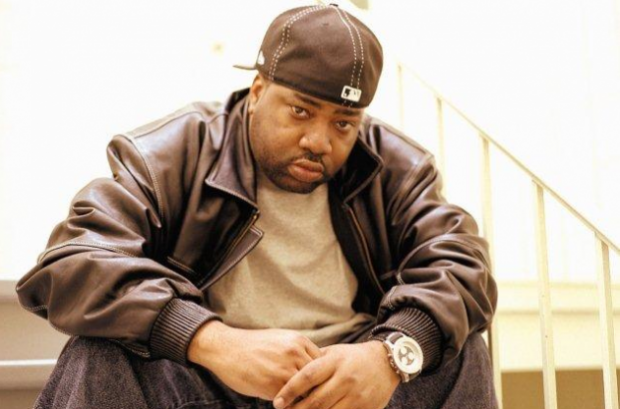 Robert “Lord Finesse” Hall has also sued DatPiff.com, the website which initially made the mixtape available for download upon its release as well as the independent label of Rostrum Records which signed Mac Miller in 2010. As of the time the suit was filed, the music video for Mac’s “Kool Aid & Frozen Pizza” had been viewed over 24 million times on YouTube while his K.I.D.S. mixtape has been downloaded over half a million times since its release. According to the Times article, “A new generation of rappers is actively trying to build a new business model in which releasing oodles of free material online builds a fan base that paves the way for revenue streams: touring, merchandise, even something as old-fashioned as a record deal. Finesse, who is being represented by Brian Levenson and Matthew Schwartz of Schwartz & Ponterio, has publicly stated that he filed the lawsuit against Mac, DatPiff.com and Rostrum Records after all three parties “refused to respond to a cease and desist letter that was issued earlier this month. More information will be released as the story develops.